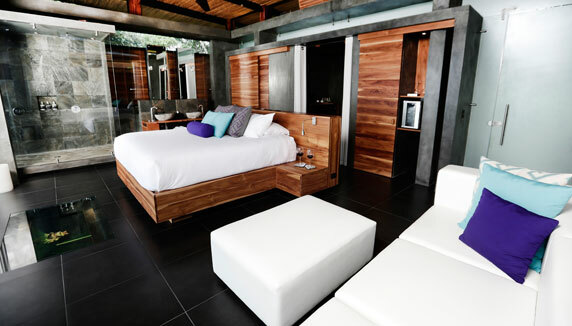 A small, adult-only, eco-friendly boutique hotel with just 6 villas on the hillside overlooking Bahia Ballena. 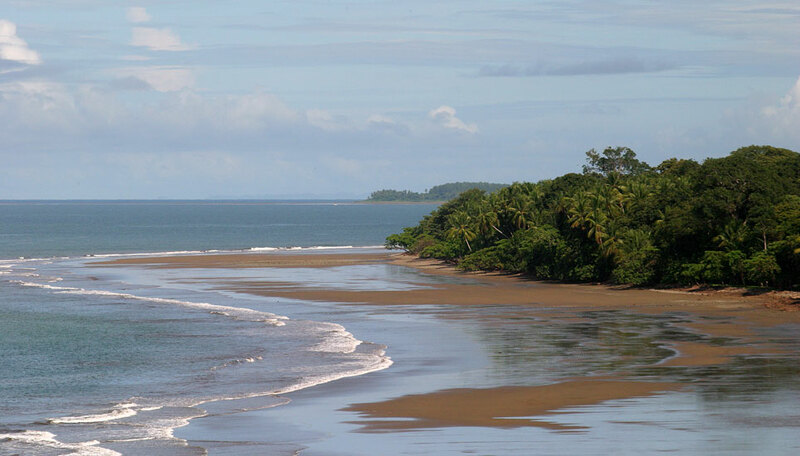 Uvita de Osa, Bahia Ballena, south Pacific coast. Kura Design Villas is open from 1st November to 30th September each year. Kura Design Villas works closely with Earth Equilibrium, educating local children on understanding and caring for their environment. 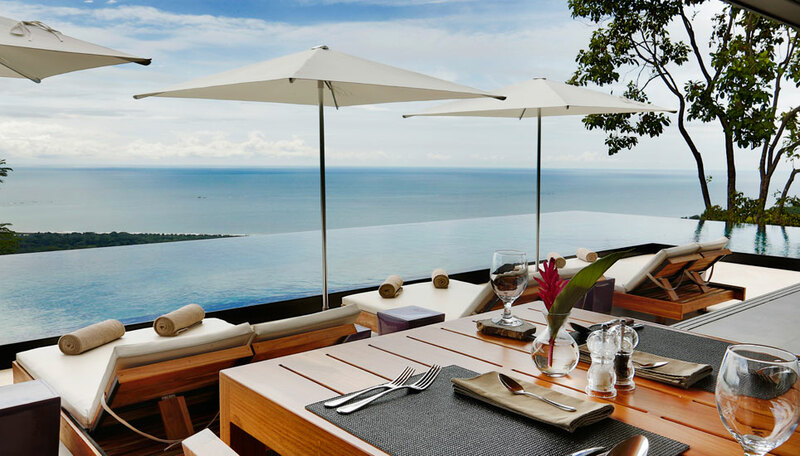 Surrounded by coastal rainforest, overlooking the Pacific Ocean, Kura Design Villas makes a truly special holiday. The effortlessly romantic natural setting is complimented by the highest quality villa accommodation, each with its own private terrace where you can sit and enjoy an espresso or chilled drink from the minibar. Stepping out of your villa you’ll find loungers and parasols laid out by the rim-flow pool, located to create the illusion of flowing into the ocean waters. Lazy days here contemplating the views and swimming whilst enjoying the underwater sound system can be combined with activity in the form of watersports, whale watching, rainforest hikes and horse riding. Indulge your senses with a visit to Spa Sha where body wraps, massages and facial are offered. Savour Costa Rican and fusion cuisine at the restaurant created by the chef and his dedicated team, from a fresh, reviving breakfast, through a deliciously light lunch and to a gorgeous 3 course, candlelit dinner. 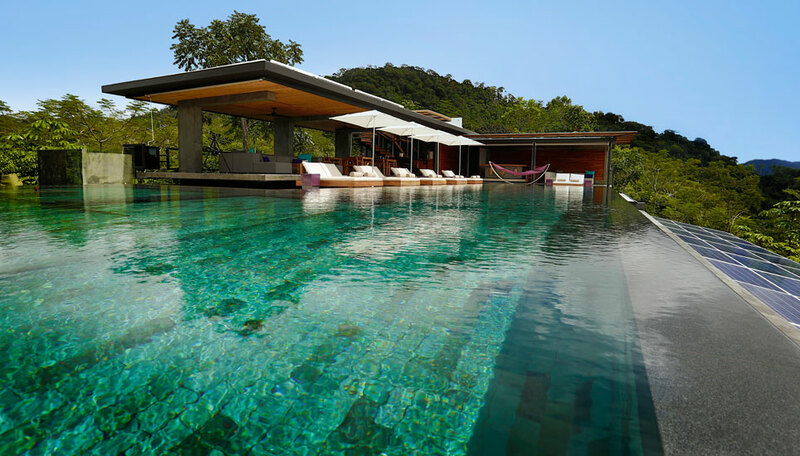 Why go to Kura Design Villas? Kura Design Villas has been carefully planned, designed and constructed to form the ideal romantic retreat. 21st century technology blends beautifully with the stunning natural setting, from the moment you awake in air cooled comfort and step out onto your ocean-facing terrace, till you sip that final nightcap and withdraw back to your villa. Watch birds in the trees as you dine, spy whales using the telescope by the bar, enjoy as many activities as you wish and indulge in pampering treatments at the spa. This is a place you just have to let yourself be utterly spoiled! Staying at Kura Design Villas you’ll have the chance to see monkeys, birds including toucans and hummingbirds, and a variety of reptiles, all while sitting by the upper pool and looking out over the Uvita Valley. Humpback whales migrate from both hemispheres to the warm tropical waters of Bahia Ballena, which is named after these magnificent creatures. They arrive from around mid-July to October and again from December till March. Ballena National Marine Park covers 110 hectares on land and stretches out 5,375 hectares on into the sea, and includes Caño Island Biological Reserve, a location renowned for diving and snorkelling with myriads of tropical fish, whales and sharks. Accommodation, daily breakfast, return transfers from Uvita town to Kura Design Villas. There are 6 villas in total comprising 2 junior suites, 2 infinity villas, and 2 suite villas. All have a king size bed, sliding glass doors leading out to a terrace with easy chairs and a hammock, a minibar, wine store, espresso coffee make, safe, ceiling fan, iPod dock, iPad, free Wi-Fi, binoculars to use during your stay, twin rainfall showers and his and hers hand basins. 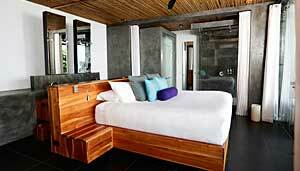 Junior suites (75sqm) are set into the forest canopy below the suite villas, ideal for bird watching. 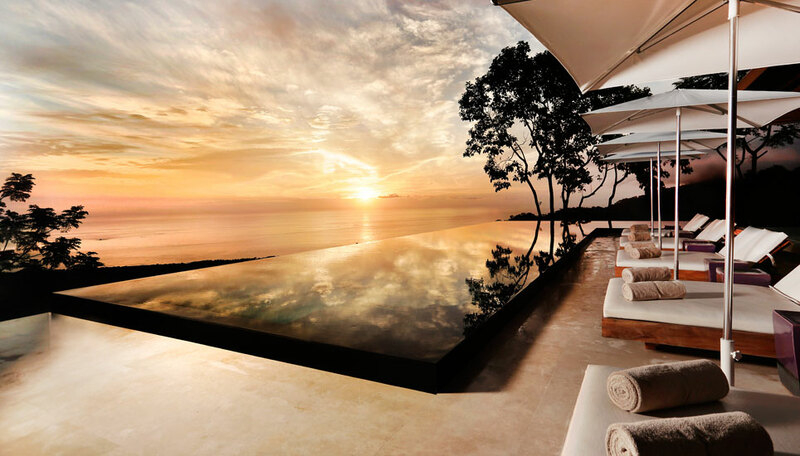 Infinity villas (88sqm) are in especially secluded locations and have ocean views. 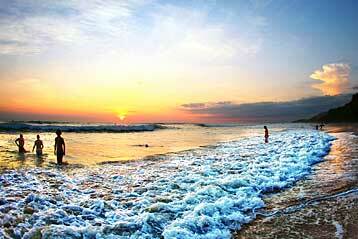 Suite villas (88sqm) have views of the jungle, coast, the Whale Tail’s sandbar and Caño Island. No children aged under 16 years of age are permitted unless the hotel is booked for exclusive use. Free Wi-fi in all rooms and social areas, and a reasonable mobile phone signal.